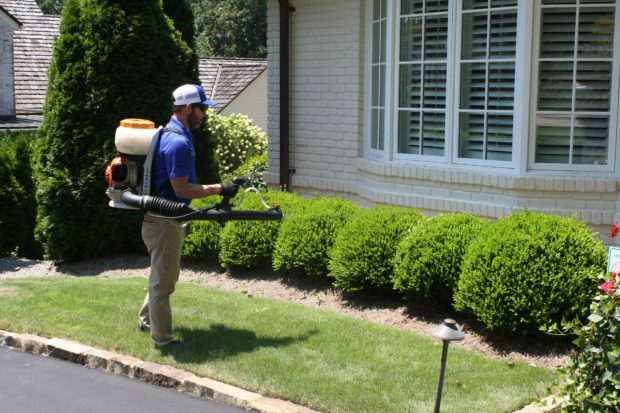 Mosquito Prevention for Raleigh, Durham, Apex, and Chapel Hill - Capital Pest Services, Inc.
There’s nothing finer than North Carolina in the warm weather. We live in the perfect area for cookouts, backyard parties… and mosquitos. The last thing you want is for these summertime pests to ruin your outdoor fun. And with breaking news reports that the Zika virus has reached the United States, it’s even more important to protect you and your family from mosquito-borne diseases. Smart, Safe Technology. Capital Pest applies its own 30-45 day treatment cycle to provide superior and safe mosquito control with fewer treatments than other pest control companies which spray every 21 days. 35+ Years of Experience. Capital Pest brings you the professional expertise you deserve to protect your home, training our exterminators with the latest mosquito-fighting methods and technology. Prevention that Fits Your Home. Capital Pest considers your landscaping, geography, and nearby contributors to create a mosquito control strategy tailored to your needs. Award-Winning Service. Capital Pest provides same-day service from expert pest control specialists, helping us win the 2016 Angie’s List Super Service Award. To find out how we can eliminate mosquitos in your backyard, call our pest professionals at (919) 847-8110 or contact us online for a free estimate. Proudly serving customers in Raleigh, Durham, Chapel Hill, Research Triangle Park, Morrisville, Pittsboro, Oxford, Youngsville, Franklinton, Wake Forest, Rolesville, Knightdale, Wendell, Zebulon, Garner, Clayton, Cary, Apex, Holly Springs, Fuquay-Varina, Sanford, Southern Pines, Pinehurst, Aberdeen, Willow Springs, and Carrboro, NC.